JEE Main 2019- NTA has released the online application form of JEE Main 2019 on the official website, jeemain.nic.in. The registration process has been commenced online from 01 September 2018. Candidates who meed the eligibility can apply online for JEE Main 2019 till 01 October. The registration is started for January Examination only. From 2019, NTA will conduct the JEE Main, twice in a year. JEE Main 2019 January Test will be held in online mode from 06- 20 January 2019. The JEE Main application form for April 2019 Examination will be issued in the 2nd Week of February 2019. To apply online for JEE Main 2019, aspirants should have an Aadhaar Card. Alongside, JEE Main aspirants should have passed the qualifying examination i.e. Class 12th with at least 75% marks (65% for SC/ST candidates) are eligible to apply for the JEE Main Examination 2019. A direct link to JEE Main Application form & information brochure will be updated on this page, keep checking the space for updated information. Meanwhile, check JEE Mains 2019 Date, exam pattern, application details, JEE Main 2019 Syllabus and more here. The information is created on the basis of previous year’s details. JEE Main 2019 is the most sought after engineering entrance examination. Previously, the examination was conducted by CBSE, once in a year. In order to reduce the stress of students, Union cabinet decided to hold the test twice a year so that, more candidates will get chance to enrol in higher studies. According to the NTA Latest News, NTA will conduct JEE Mains 2019 Examination in online mode only from 06- 20 January 2019 and from 07- 21 April 2019. The examination pattern and syllabus of JEE Main 2019 will remain the same. JEE Main 2019 is an all-India level test for admissions into NITs, IIITs and GFTIs. IIT JEE 2019 is a two-tier examination that includes JEE Main and JEE Advanced. Candidates who are willing to get admission to B.E./B.Tech & B.Arch courses can apply online for the examination. Around 12 lakh candidates take this national level engineering entrance examination every year. The total number of registered candidates in 2017 for pen and paper based test is 10,15,349, while the total number of candidates who have registered for Computer based test was 1,83,640. There is no age limit to apply for JEE Main 2019. Candidates who have qualified the Class 12 Examination or equivalent in 2017 & 2018 or will appear in 2019 are eligible to write JEE Main 2019 Entrance Examination. Candidates qualified the Class 12th exam in 2016 or before are not eligible. Candidates must have given the qualifying examination with at least 05 subjects including Chemistry, Mathematics & Physics as major subjects. Only 03 Attempts are provided to the candidates. Only online JEE Main 2019 application forms is now available for the candidates. Aspirants can fill online application form from 01 September 2018 to 30 September 2018. Read all the eligibility terms and conditions before filling the application forms as incomplete and misleading details of application form will be rejected. Hence, you will not be allowed to write the JEE Main examination. In order to avoid the consequences, candidates are advised to read all the instruction provided in the information brochure. After submitting the online application forms of the JEE Main 2019 Exam, candidates need to remit the prescribed application fee. Application form with no application fee will not be accepted. Aspirants have to solve the maximum number of questions in the duration of 3 hours to get shortlisted for JEE Advanced Exam 2019. For each correctly marked question, 04 Marks will be awarded, however, for each wrong response 1/4th mark will be deducted as negative marking. Hence, candidates are advised to mark answer carefully. In Paper 2 of the JEE Main 2019 Exam, listed three sections will be there, and the duration to complete the exam will be 3 hours. Candidates have to manage their time accordingly. 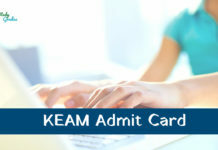 The admit card of JEE Main 2019 will be released in the month of March 2019. 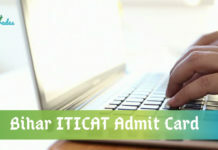 In admit card, all the details related to the candidates and the exam venue will be mentioned. It is a necessary document hence while appearing in the JEE Main Exam 2019, do not forget to bring the same. 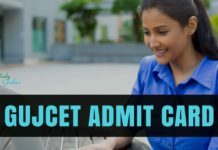 JEE Main 2019 Admit card will be issued online on the official website of JEE. The answer keys and OMR sheets (images of response sheets) of JEE Main 2019 Examination will be issued on the official website of JEE Main, during April 2019. We will also host the link of official answer key on this page. The candidates, who find the captured response incorrect, can challenge it by submitting an online application form and remitting a fee of Rs.1000/- per question. The challenge of answer keys will be accepted only by online mode through the link available on the main website of JEE Main 2019 in April 2019 up to 5.00 PM. Candidates can pay the non-refundable fee by credit/debit card or e-challan. The JAB’s/CBSE’s decision on the challenges shall be final, and no further communication will be entertained. The JEE Main 2019 scores and rank will be declared in the last week of April 2019, while the All India Rank will be declared in the 1st week of July 2019. Only shortlisted 2 lakh 50 thousand top rank holders will be able to appear in JEE Advanced 2019. 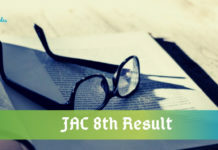 The score will contain the actual marks attained in JEE (Main) – 2019 (Paper-1) and the status of the candidates who qualify for appearing in JEE (Advanced) – 2019. The JEE Main rank will comprise All India rank & All India category rank. To offer admission through Central Seat Allocation Board to NITs/IIITs/CFTIs/SFIs/Others, only All India Rank (AIR) is applicable. While the other ranks are used for information purposes only. The cutoff marks are the minimum qualifying marks of any examination that every candidate has to attain in order to qualify the examination. With an estimate of JEE Main Cutoff, candidates can prepare accordingly to get good marks in the JEE Main examination. Q1. How to access JEE Main 2019 Application form? Ans- The only mode to access the application form is online. Visit the official website, jeemain.nic.in to fill online application form. Q2. What is JEE Main 2019 Exam Date? Ans- CBSE will tentatively hold the JEE Main 2018 in the first week of April 2018. Q3. What are the modes for JEE Main 2019 Examination? Ans- The examination will be conducted in online and offline mode. Q4. Can I correct the entered details after submitting the application form? Ans- Yes you can. Application form correction window will be opened a few days after the last date of submitting application form. But only a few details will be allowed to correct so, make sure to enter only correct information. Q5. How to pay application fee for JEE Main 2019? Ans: You can pay the application fee through Credit Card/Debit Card/E-challan/Paytm and SBI Buddy. Keep visiting the StudyGrades for complete details on JEE Main 2019..!! When will be JEE Main 2018 held?